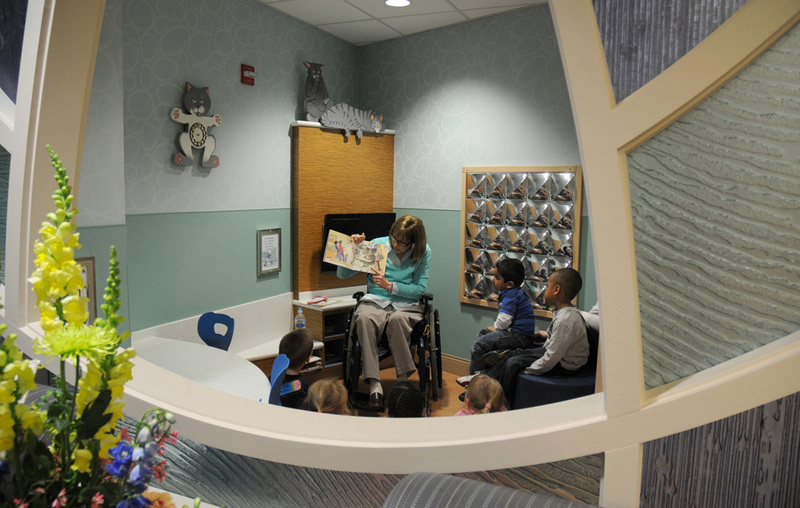 Miami Valley Hospital has dedicated “book nooks” designed to entertain its youngest guests. 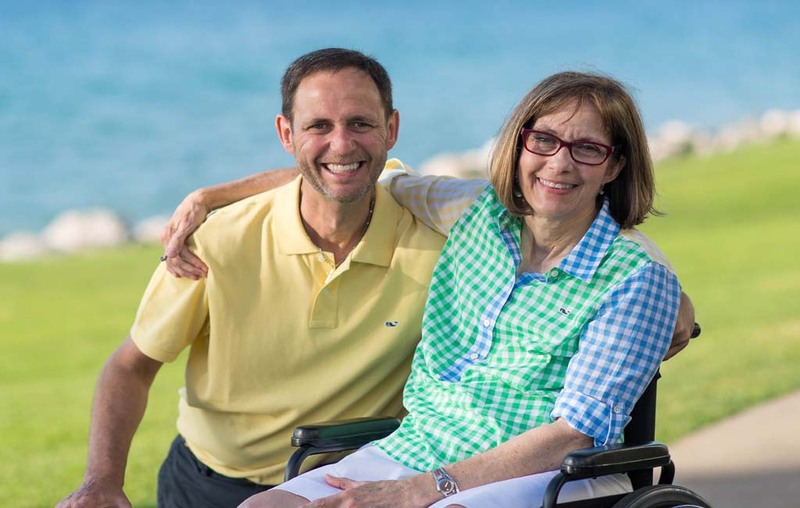 The spaces—two physical and a growing virtual hub—were made possible by a gift from long-time supporters, children’s author and childhood literacy advocate Karin Spicer and her husband Ed Blake, a past board chair of both the Miami Valley Hospital and MVH Foundation board of Trustees. 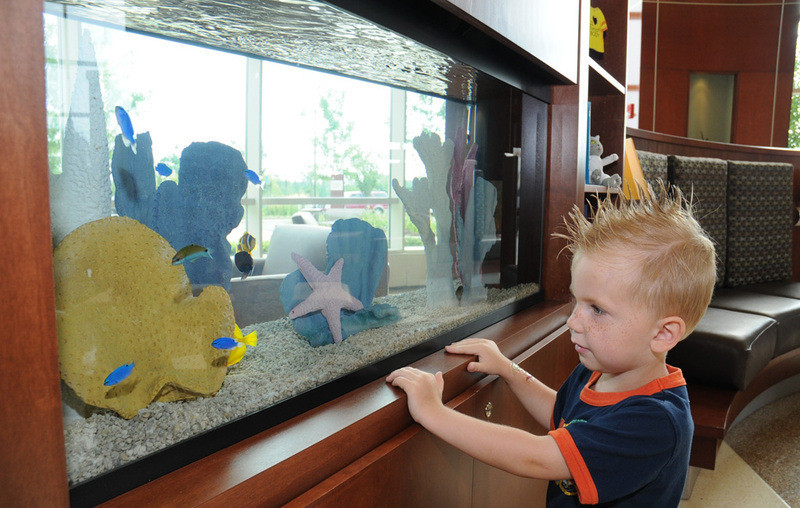 Miami Valley Hospital South’s dedicated spot near the Shaw emergency department, opened in 2008, features furniture made to scale for young visitors, a 75-gallon saltwater aquarium filled with colorful marine life, and a library of books for children to read while they are waiting. 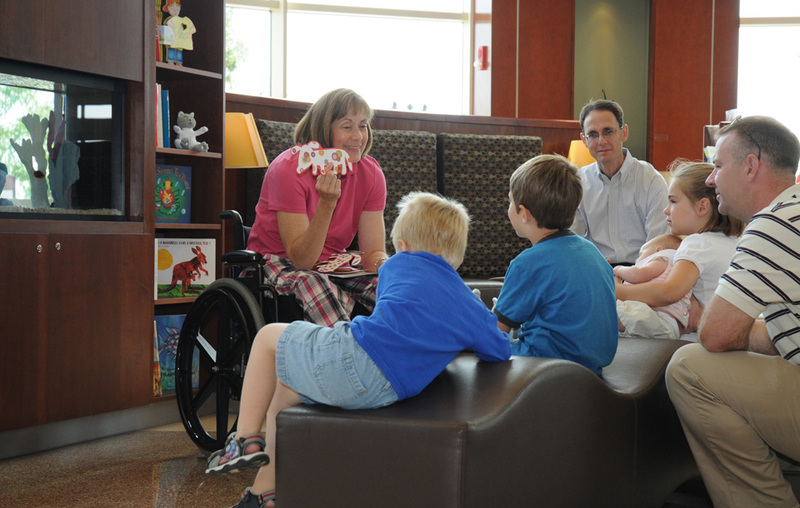 Opened in 2010, the Abby’s Nook located in Miami Valley Hospital’s Neonatal Intensive Care Unit provides a dedicated space for children with siblings in the NICU. The cozy, kid-friendly environment includes children’s furniture and a reading activity area. So begins the delightful poem created just for MVH’s youngest visitors by donor Karin Spicer, a published author of several children’s stories. The nooks are named after Spicer’s gray and white cat, Abby, who is also the main character in two books she wrote for the centers. The coloring books focus on various experiences that children may encounter at the center, such as taking medicine. An accompanying puzzle book focuses on hospital themes, including a story about the many uses of bandages. 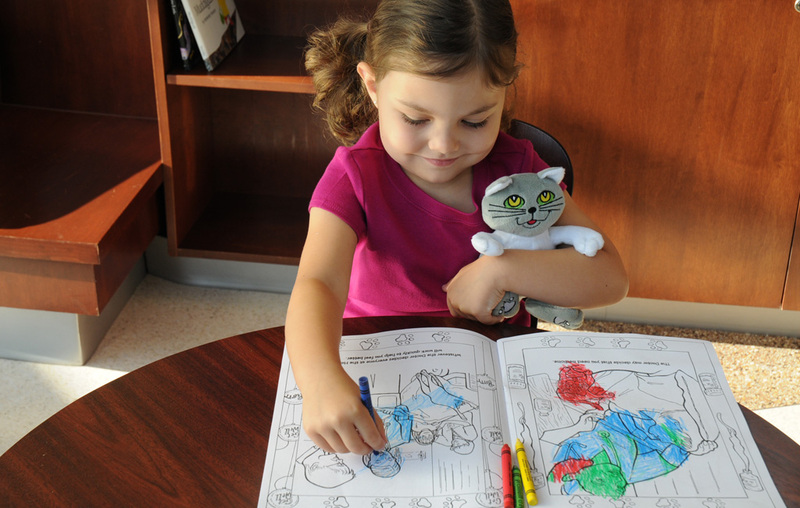 The coloring and puzzle books are given to children who are treated in the emergency department, along with an ‘Abby’ stuffed toy. In the South Nook, several photos of Abby taken and donated by MVH Foundation board member Ann Reynolds, are displayed in the reading area. At the Berry Women’s Center, along with videos and donated books, children have the opportunity to color pages designed by Florida artist Sheryl Koby. The space was dedicated to the memory of their dear friend, Julie Ann Johnson. 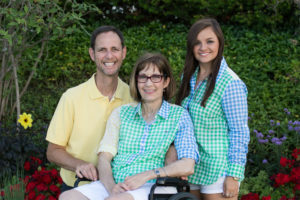 Julie loved to read and understood the need for children to have access to books – and fun, comfortable places to read. 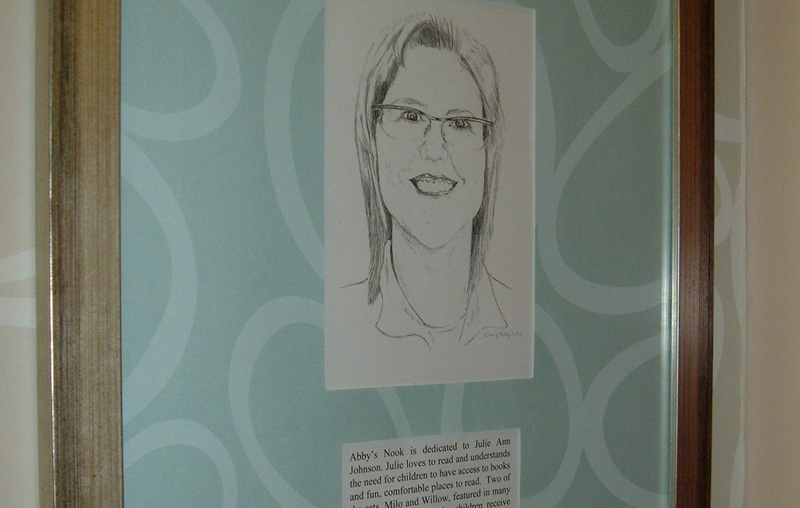 The design for Abby’s Nook was donated by Doug Grewe of Pinnacle Architects. Furniture for the area was donated by the Ronald McDonald House Charities of the Miami Valley Region and construction was performed by members of the hospital’s Maintenance Department. Adorning the wall are wooden representations of Abby the cat and her siblings, Willow and Milo, painted by local artist Cindy Plummer. Abby was born on April 17, 2002 in Dayton, Ohio. She quickly became a VIC, a Very Important Cat. 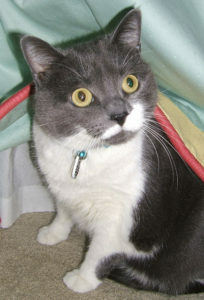 Abby herself is named after the cat in the children’s book Rip Squeak and His Friends by Susan Yost-Filgate. She enjoys watching the birds, squirrels, and chipmunks from her big picture window. Abby is a big talker. She lets her family know when she wants more food, and she doesn’t stop meowing until one of them walks over to her food bowl. Abby was pleased that the children’s nooks at Miami Valley Hospital’s Neonatal Intensive Care Unit and Miami Valley Hospital South Shaw Emergency Department were named after her, because she loves books, especially laying on them.